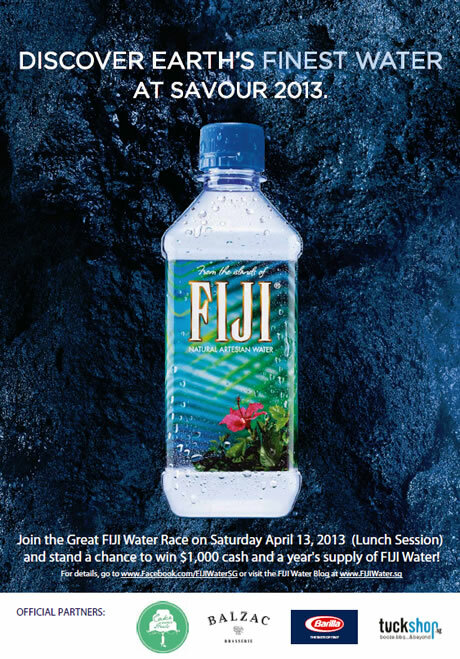 If you're amazing and you can race, you might want to try your hand at the Fiji Water Race this Saturday, 13 April, happening noon to 4pm at Savour 2013. Up for grabs is the grand prize of S$1,000 and a year's supply of delicious Fiji Water. I loooove Fiji Water and its gorgeous mouthfeel. If you've never tried it, go to Savour and savour some of its grrr! Have fun racing at Savour 2013!